My name is Kristen Bunger (2nd grade Finley Bunger’s mom) and I am the troop administrator for University School Girl Scout Troop 538. 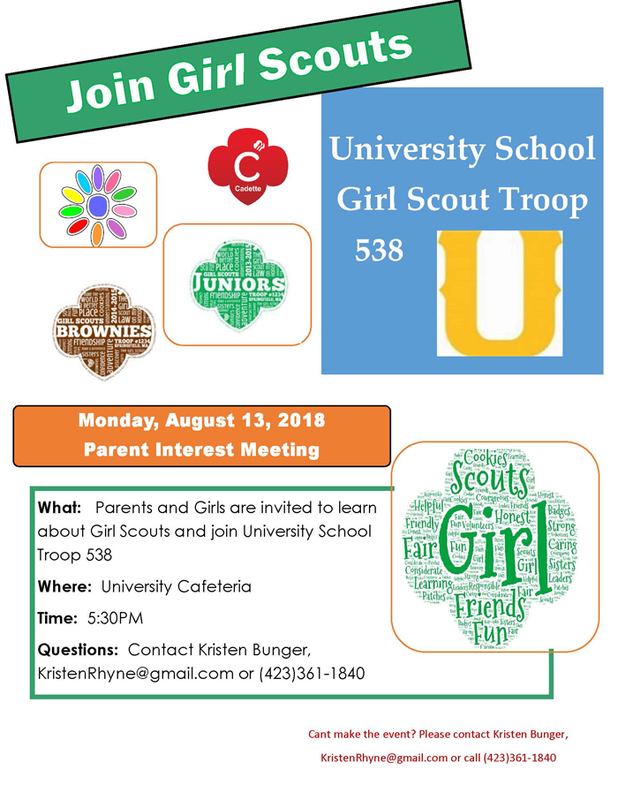 I wanted to send this email and flyer to invite parents and/or guardians to Troop 538’s Girl Scout Parent Interest Night. Troop Season 2018-2019 Parent Interest Night will be Monday, August 13th at 5:30 p.m., in the University School Cafeteria. We will cover information about Girl Scouts and joining our troop.